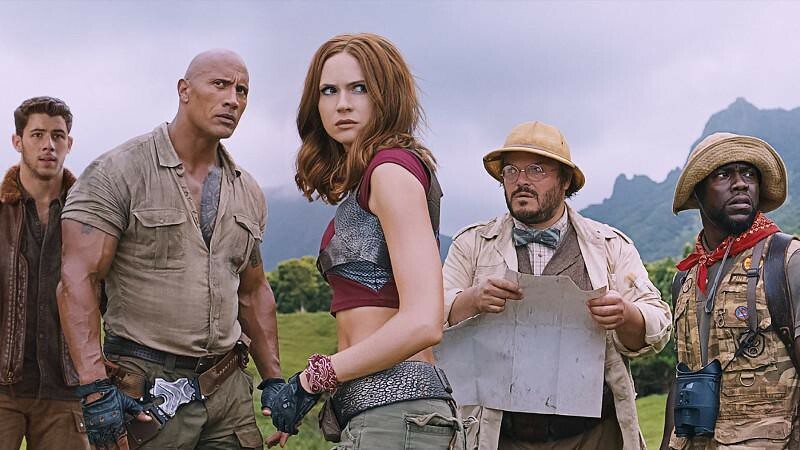 Jumanji: Welcome to the Jungle is the continuation (not the remake) of the original movie from 1995, starring Robin Williams and a very young Kirsten Dunst. Twenty years later, the wicked board game has become a nineties video game console. The device will transport four teenagers to a lethal (and funny) world of adventure. 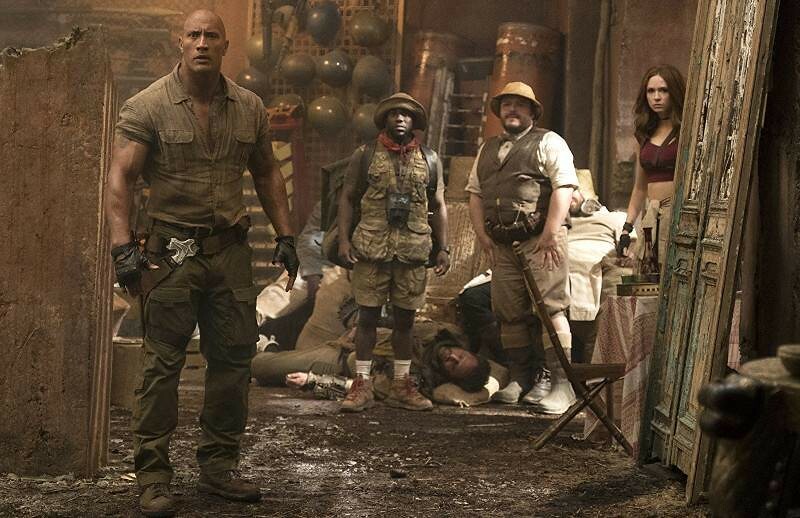 Fast & Furious star Dwayne Johnson, Jack Black (School of Rock, High Fidelity), Karen Gillan (Guardians of the Galaxy) and Kevin Hart (Ride Along) are taking on the leading roles of the four game avatars. Most of the film's exteriors were shot during two months on the gorgeous Hawaiian landscapes of Oahu island. 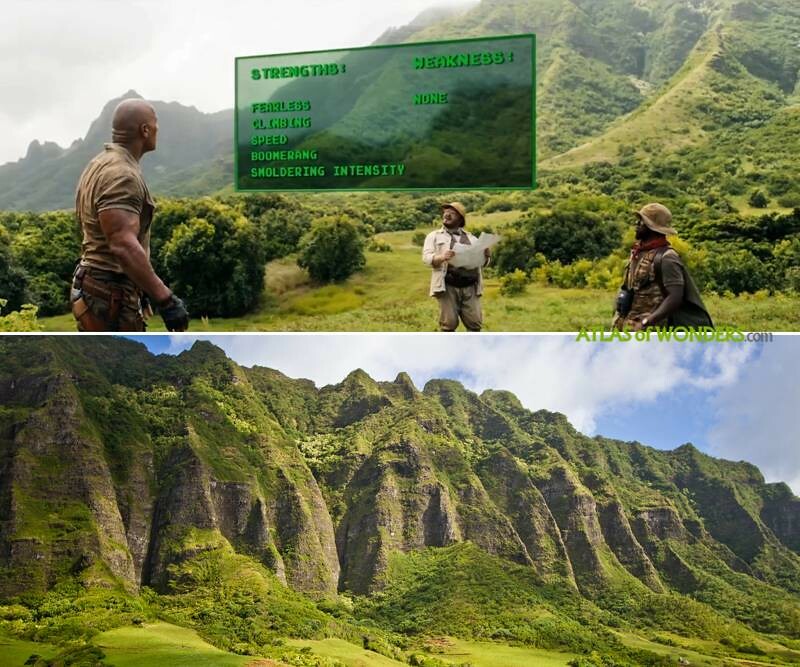 The peculiar mountains of Kualoa have been captured in dozens of movies and Tv shows; Jurassic Park, Jurassic World, Kong: Skull Island and Lost are some of the productions set in this popular filming location. 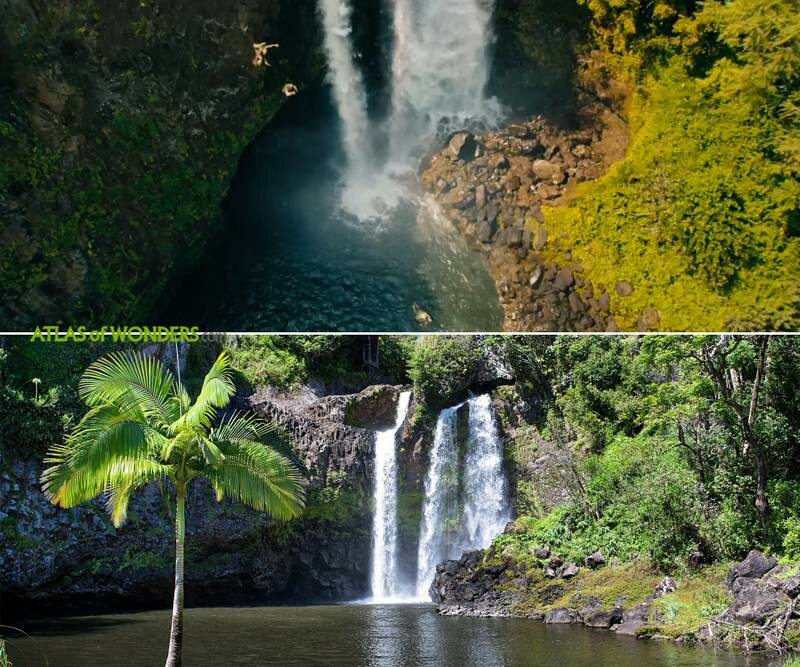 The waterfall-jumping scene was filmed at Kawainui Falls, in the island of Hawaii (near Papaikou, north of Hilo). Some establishing shots were filmed in Atlanta. Indoor scenes were housed at Atlanta Metro Studios. 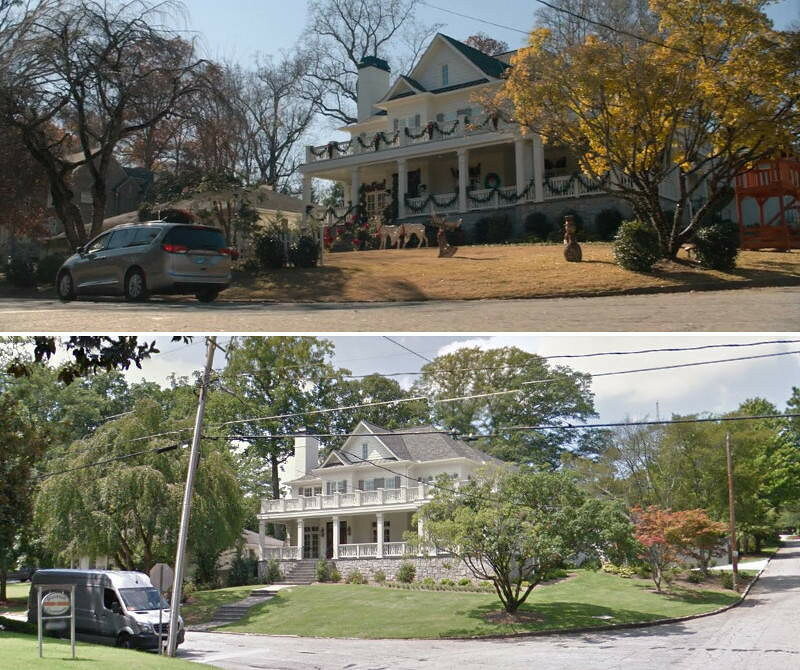 The exterior of Alex's house is located at 1646 Friar Tuck Rd NE, also in Atlanta. Westlake High School was transformed into Brantford High School. 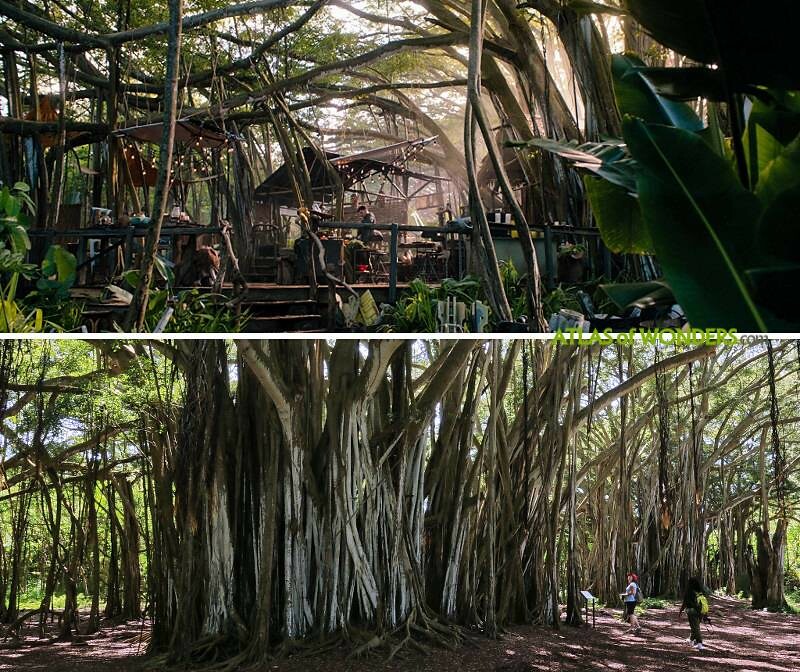 Can you help to improve this article about the filming locations of Jumanji? To complete and correct this report, any feedback, info or images that you may have are more than welcome, thank you!